Coffee Trail - Counting Stars, Reaching Delphi .✫*ﾟ･ﾟ｡.★.*｡･ﾟ✫*. : From A Dreamer To A Picasso, The Walls Are Alive. In 'Princesses, Pink & Purple, Sugar and All That’s Nice' (May 2017), I wrote about some of the initiatives of several volunteer groups and NGOs to improve the literacy levels among children in Malaysia. Today, I am going to share with you another exciting initiative that also has education for children in focus. ‘Our True Colours - Wall Mural Painting Project’. Some of you may already have heard about this drive. 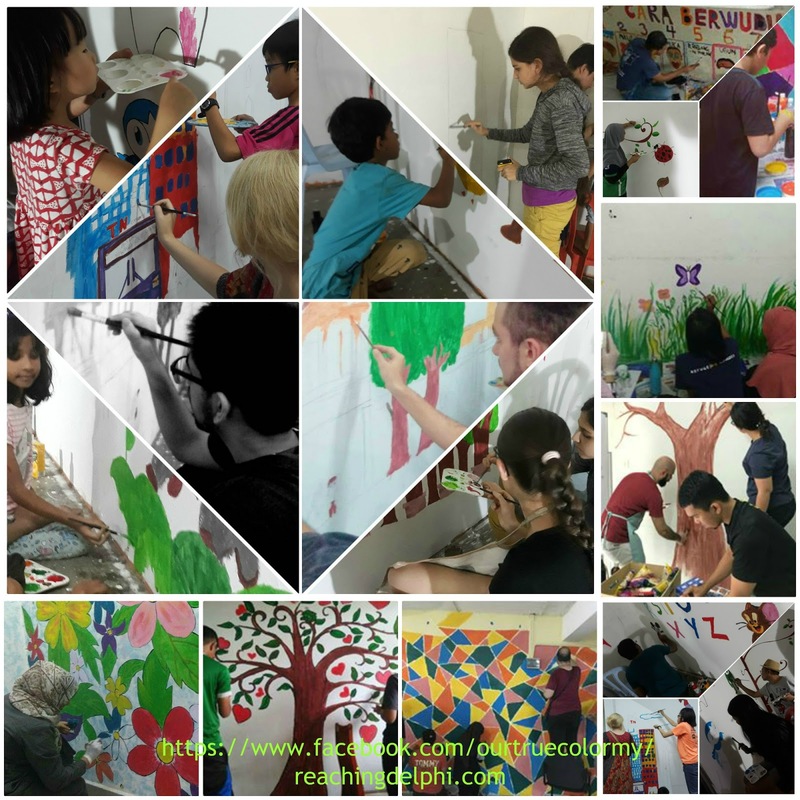 'Our True Colours – Wall Mural Painting Project’ is a project idea that was triggered in 2016. Its aims are very humble and simple – to inspire people to volunteer through art and to create a positive classroom atmosphere for refugee children. This project is led by its founder Hasan Al Akraa, a Syrian student from Aleppo. 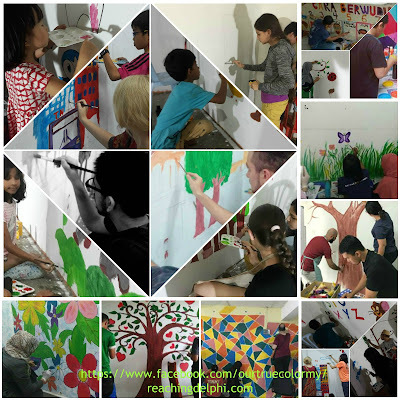 The volunteers of this group meet up regularly at the designated refugee schools to transform those dull off-white school walls into exciting and cheerful ones. 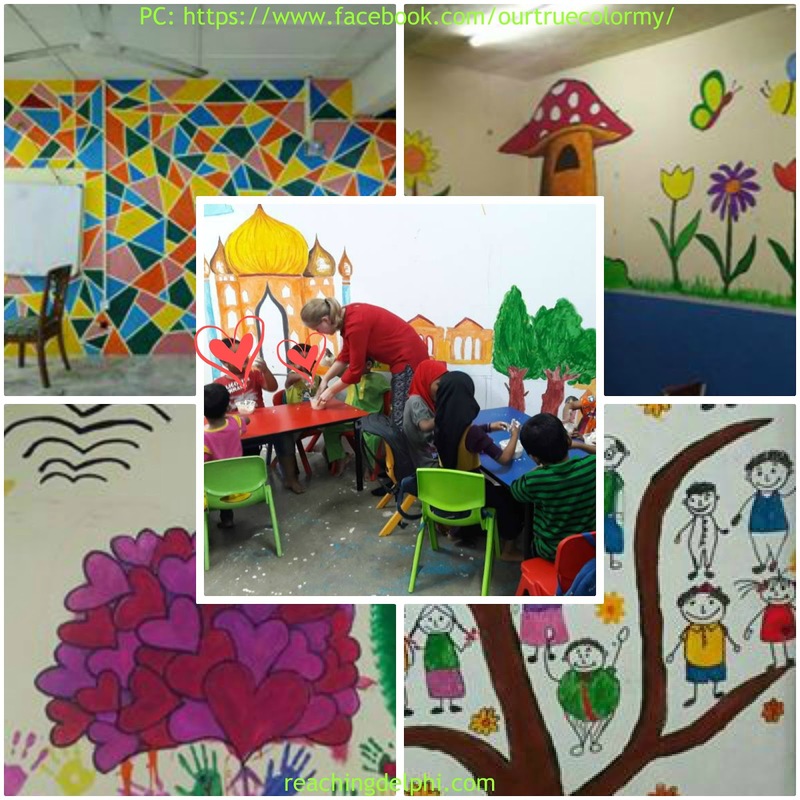 The first project kicked off with 30 volunteers in the 4th quarter of 2017 at the Smart Iqra Education Centre. 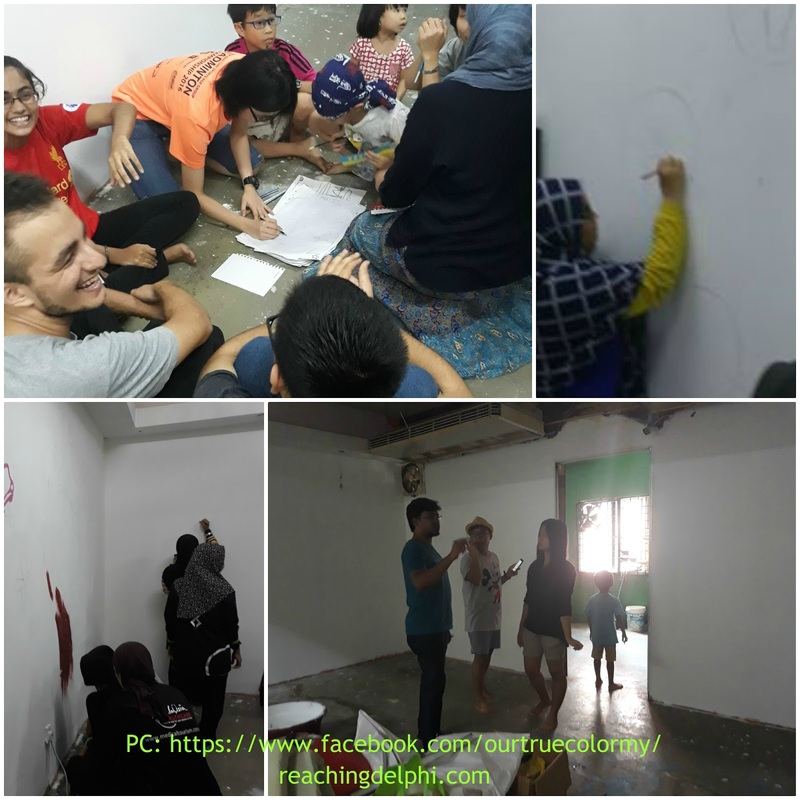 Today, with support from over 150 registered volunteers, Hasan has completed over seventeen mural painting projects in the Klang Valley district. 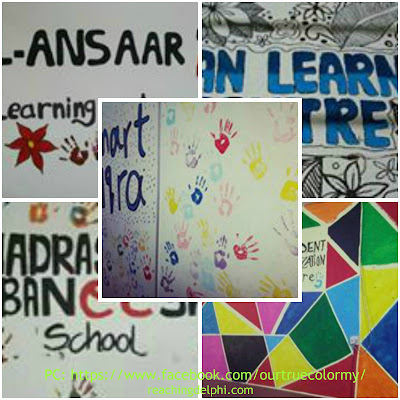 The wall-painting activities are done over weekends when there is no school programme planned for the day. The seventeen completed projects whose walls have benefited from this personalised face-lift include schools of the Afghan, Rohingya, Somalia, and Chin refugee communities. I asked Hasan what inspired him to start this project. In 2016, he replied, he had visited a refugee school in Sentul. The poor school conditions and the sad faces there had left him low. He was determined to make a small change – to paint their classrooms and to bring smiles to the little children's faces again. He told me ‘all children need a beautiful and colourful environment no matter where they are from. They deserve to study and be in beautiful places'. Hasan, many of us are with you on that. 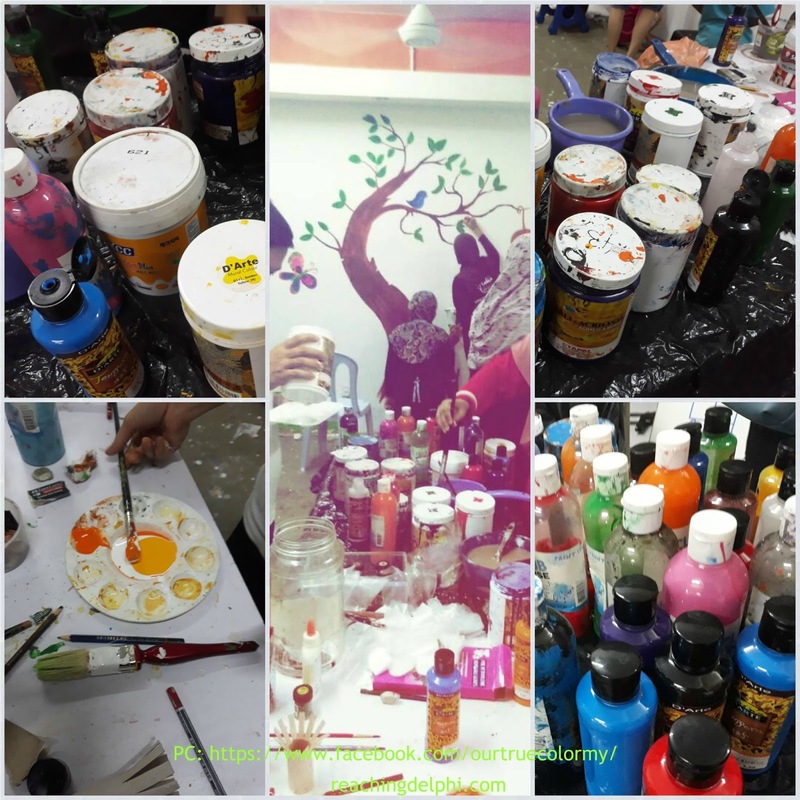 I have participated in these bi-weekly painting activities a couple of times since it kicked off last year. The feeling of being part of this group and seeing the results at the end of the day is indescribable, but I can proudly tell you the following: tulips, roses and daisies grown in the most impossible places; there will always be light from the sun and infinite number of stars and love-filled hearts to guide these children, and every child is a Superman/Superwoman in his/her own right. Our True Colours also allows us to express ourselves – our true colours – indeed without the fear of being judged. The results are eye-catching, and you can see them for yourself here. By the end of each session, strangers become friends, quietness is replaced with laughter, clean faces and palms are splashed with colours, and everyone returns home a Picasso. The walls of painted meadows & hills have come alive. They have come alive. Yes, they are ALIVE! What is more amazing and satisfying, friends, is that sparkle in these students’ eyes the first time they see these changes. Colours are amazingly therapeutic. 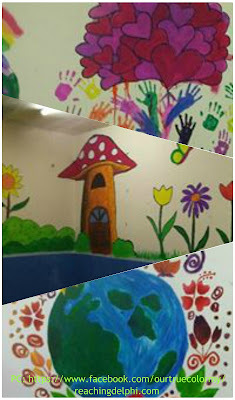 These painted walls help to instil happiness and perhaps a little hope in humanity. This is precisely what we hope for in this project. For those who are not aware, the children who study in these schools are refugees. They are stateless and have no place to call home. Their families had to flee from the dangers they faced in the countries they once lived in. They are here until they get the right papers to be where they are or until it is safe for them to return to their original homes. Until that day, we are their home country. 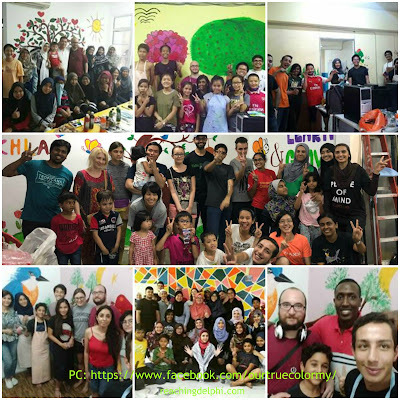 The volunteers are mostly college-goers and working adults from various parts of the world. Would you believe it if I told you that in the last meet, there were a few as young as 5! Projects such as this and those I listed in 'Princesses, Pink & Purple, Sugar andAll That’s Nice' are a few that also provide opportunities for travellers to Malaysia to volunteer during their holidays. My coffee today is an Arabic coffee, from a restaurant specialising in Arabic cuisine in the Kuala Lumpur city centre. This is a hot milk coffee with a dash of tangy-sweet spices. Its tanginess compliments the exciting moods and events of the past few weeks. 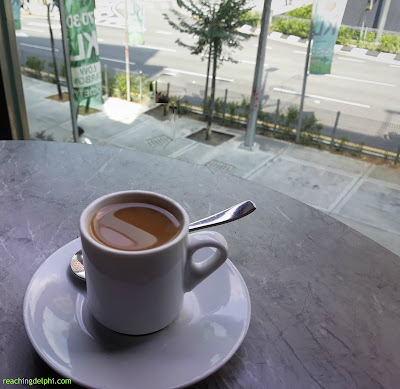 I will talk a bit more about the origins of this coffee in another post. See you again soon and until then enjoy your cuppa, Have a great weekend. Hi. I received a comment in the feedback column recently regarding the email notification on new blogposts. I appreciate her/his feedback. The current email notification will not be sent, a new distribution link will be setup. Google auto-notification remains the same. "By the end of each session, strangers become friends, quietness is replaced with laughter,"
That is what we need in our society, no matter what background we are. Thank you Khairul. Indeed we need laughter. This and positive building activities bring us all together.